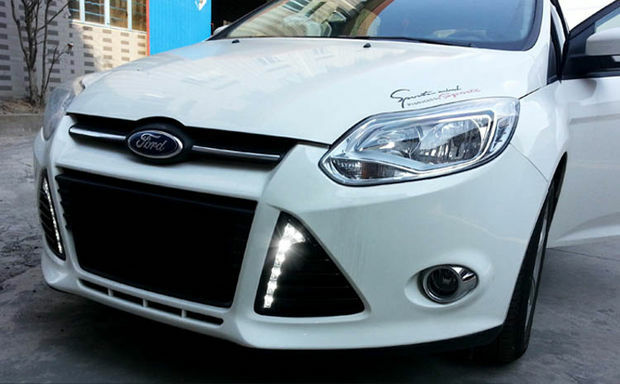 Nowadays,more and more people try to install OEM fit LED daylight runing lights on their car by themself which pay only a little materials expenses and hours.If you choice to ask dealer for this,it will cost you a lot.And in this article,I will share you how to install Ford Focus LED Daytime Running Lights by youself.This refit give the car a crip,clean look and even has a feature to dim the headlights by 50%, just like the OEM LED daytime running lights you see on high end luxury cards like Mercedes Benz and Audi. Step 1:Remove driver side headlights. The driver side is closer to the battery when you have to tap the wires later. 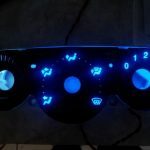 Step 2:Use a pry tool to pop out the plastic bezel and connect the LED daytime running light wires to the module box. Step 3:Replace with the LED daytime running lights and route the wires to the driver’s side battery location. 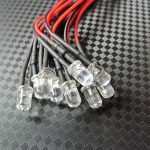 Step 5:Find the wire for the headlights and tap it to the blue wire. 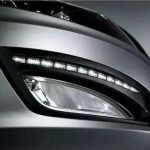 When the headlights are on, the LED daytime running lamps will reduce by 50%. Step 6:Test to make sure everything works and enjoy your new OEM Fit LED daytime running lights.